AFrench pensioner has set out to cross the Atlantic inside a large barrel he has built from reinforced plywood, hoping to arrive on a Caribbean island within three months using only ocean currents to carry him along. 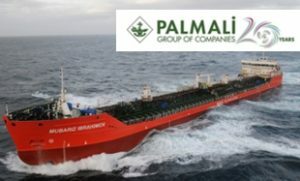 “The weather is great – I’ve got a swell of one metre and I’m moving at two or three kilometres an hour,” Jean-Jacques Savin said shortly after leaving shore on Boxing Day from the island of El Hierro in the Canaries. “For the time being my capsule is behaving very, very well and I’ve got favourable winds forecast until Sunday,” he added in a phone interview. The three-metre long orange barrel that will be home to the 71-year old former parachutist for the coming weeks has a six-square-metre living space that includes a kitchen, sleeping bunk, chart table, and storage. 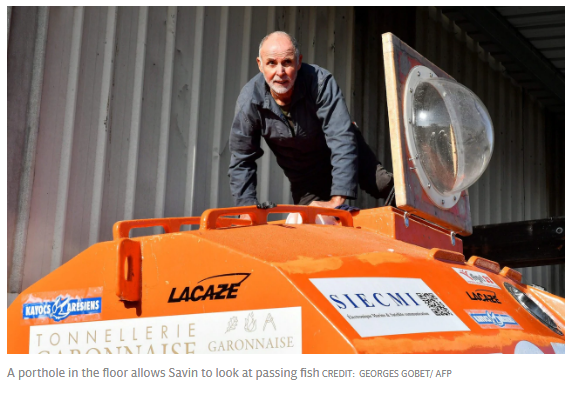 Mr Savin built the vessel, which looks like a space capsule, himself over several months in a small boatyard in Alès in the Arcachon basin in southwestern France. “Having lived for several years on my yacht, I have crossed the Atlantic several times. I have the soul of a sportsman and am using my retirement to set myself a number of challenges,” he told local media before he set out on his epic voyage. His navigation skills were further honed by years working as a pilot and as a ranger in a national park in Africa, although he will likely not need them on this trip as he hopes that currents will carry him naturally to the Caribbean without the need for a sail or oars. Mr Savin said that his biggest fear was of killer whales, “because they can be aggressive”. But the barrel, which weighs 450 kilograms when empty, is made from resin-coated plywood that has been heavily reinforced to resist both giant waves and potential attacks by killer whales. To banish loneliness, the adventurer has brought along a mandolin, some books, and a diary that he will update daily and which he plans to have published when he has completed the journey. Further entertainment will be provided by a porthole in the floor that will allow Mr Savin to look at passing fish. He has also taken a block of foie gras and a bottle of Sauternes white wine for New Year’s Eve, along with a bottle of red Saint-Emilion which he plans to pop open for his 72nd birthday on January 14. As he drifts across the Atlantic, Mr Savin will be dropping markers for the JCOMMOPS international marine observatory to help its oceanographers study currents. And he himself will be the subject of a study by psychologists on how he handles solitude in close confinement. Mr Savin has a budget of €60,000 euros (£54,000) for his expedition, covered in part by a French barrel-making company and a crowdfunding campaign. He does not yet know exactly where he will end up in the Caribbean. “Maybe Barbados, although I’d really like it to be a French island like Martinique or Guadeloupe,” he said.